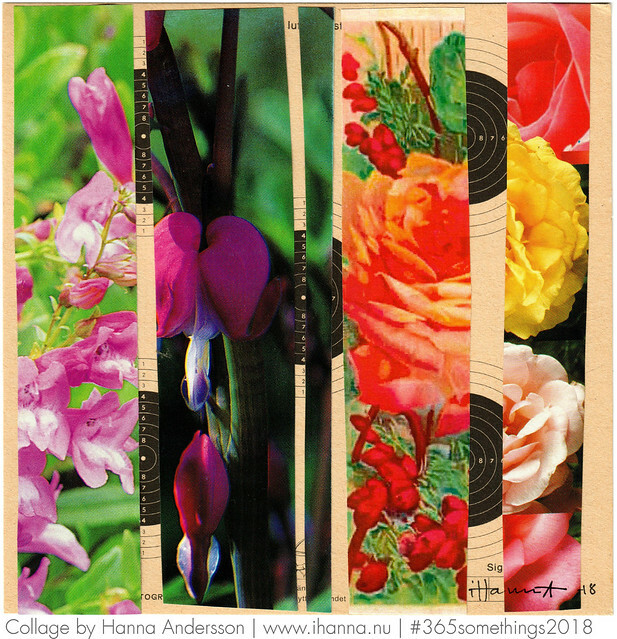 Garden Patchwork 1, a collage by iHanna a.k.a. Hanna Andersson, Sweden. As per usual, I started out with not much of an idea, but then went to town with the flower images (cut out a long time ago from one of dad’s gardening magazines) I found in my stash. I made 7 more collages for my 365 Project, and I hope you’ll love them as much as I do! That’s my seven new collages, nr 92 to 98 of 365. Follow me on Facebook and then check out Pinterest to see what others are creating in our 365 Somethings Project. You can also check out / follow the hashtag #365somethings2018 on Instagram for artsy updates there. It’s all good. 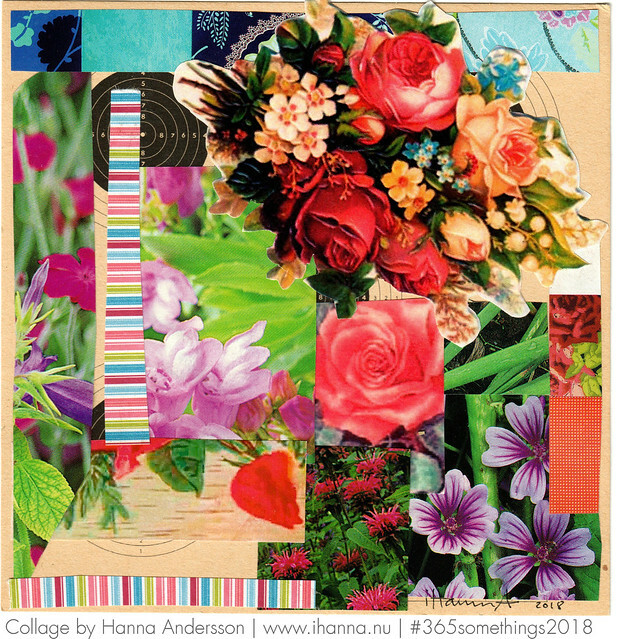 This project is part of my 365 Somethings 2018 and I call it 365 Collages by iHanna | Other Participants and Resources. 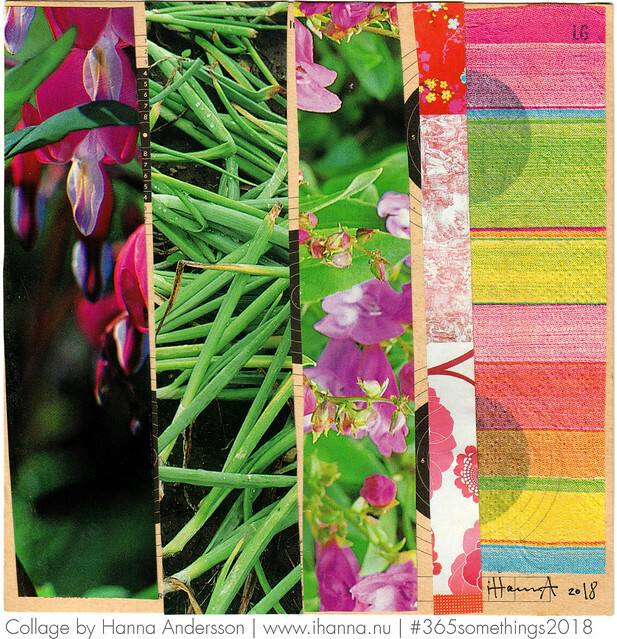 Bonus: Feel free to leave me a comment on a previous week 14 of collages, from back when I did a 365 project in 2013, in case you don’t remember it or didn’t read my blog back then. PS: Day 3 of ICAD process video is up on YouTube if you want to watch my third index card come together, first one blogged here already.ICAD stands for index-card-a-day, and it’s a fun challenge hosted by Tammy if you want to check it out. 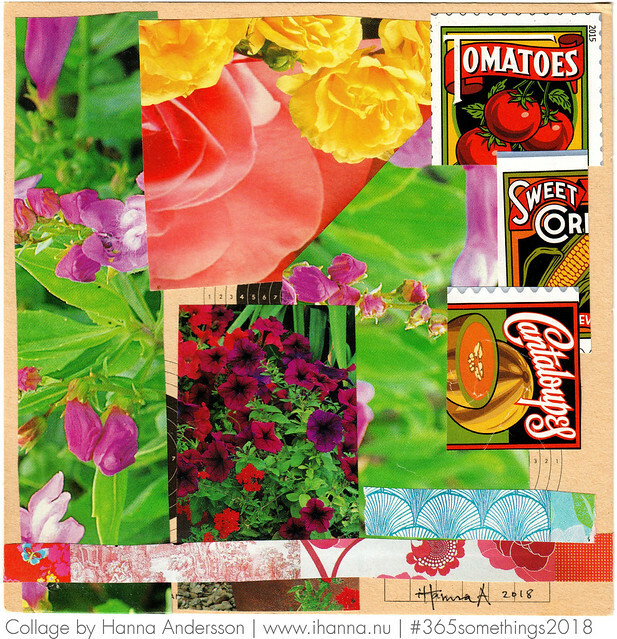 This entry was posted in A Creative Life, Collage and tagged 365in2018, garden, square collage. Bookmark the permalink. I really really really LOVE these. Gardens are my thing! 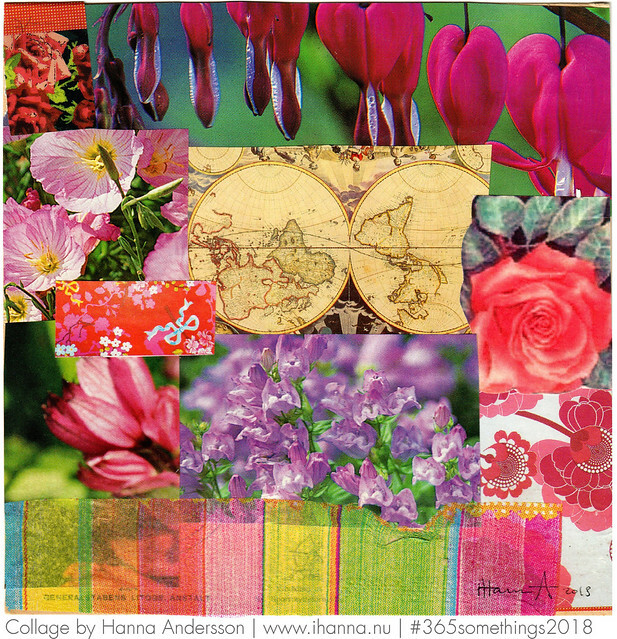 Plus collages…. I can’t choose! They are all great! Gorgeous combinations Hannah and oh so creative! I’m digging the pretty pinks, blues, and greens in “Do Not Pick Her Up” this week. But they’re all so interesting! Thanks for sharing with us! Keep up the great work! Ah..365 collages is a great idea! I’m so happy you stopped by my blog, and let me know about your project. I’ve added your blog to my reading list, so I can follow along. Doing art 365 days is a struggle, so don’t beat yourself up too much for falling behind. I’m sure you’ll catch up soon. 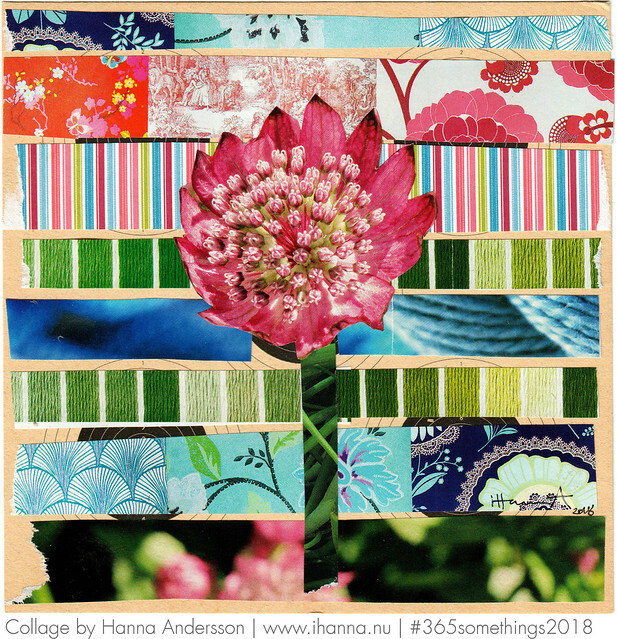 I love “Garden patchwork #1” the best for the symmatrical stripes I guess, and the green beens… but they all are lovely! 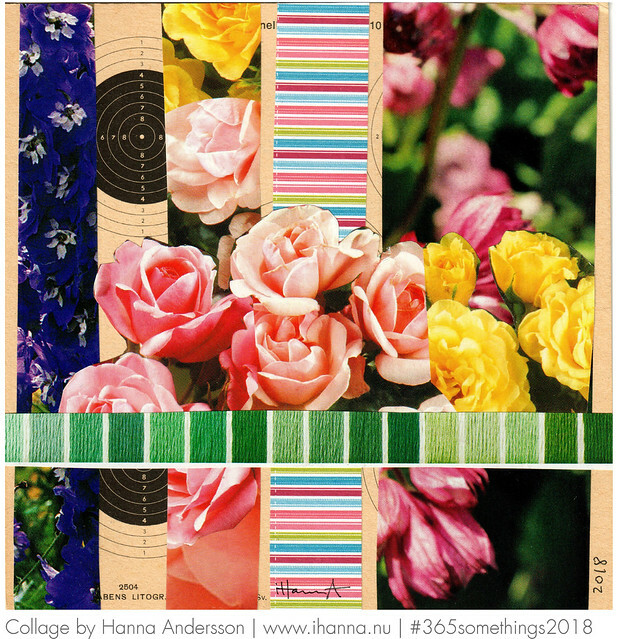 Hope your mood/days are as colourful as these collages!